In a recently published report of their 2012 salary survey, Fellows and Associates outline the mobility of IP professionals in the UK, among other things. Find out where you are on the salary scale. 75% of respondents in the survey indicated that they were willing to relocate. Fellows and Associates’ report of the 2012 salary survey of the Intellectual Property profession in the United Kingdom was well received by its audience. It gained exposure on prominent industry blogs as well as LinkedIn and Twitter. One of the most eye-catching findings in the report related to the relative mobility of the IP workforce. 75% of respondents in Fellows’ survey indicated that they were willing to relocate either regionally, nationally, within Europe, or worldwide. A total of 30% indicated that they would be willing to move abroad to obtain a position. This percentage is slightly higher than the national trend of 25% of the workforce across different professions. Of those willing to move internationally, Patent and Trade Mark attorneys seemed to prefer the more exotic destinations to mainland Europe, with only 7% indicating that they would relocate there despite the fact that one of the most important European patent institutions is located in Munich. Most respondents however, 35%, would move within their current region, while 24% indicated they would not be willing to move at all. 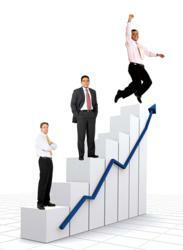 Finally, 93% of respondents desired an increase in salary upon moving jobs or gaining a promotion. The average increase desired was 24.8% of their current salary. However, this isn’t a sector wide trend as those in certain technical areas showed more modest estimates of salary increase than others. In recent years the job market has shown an increased demand for electronic specialists compared with those in areas such as pharmaceuticals and chemistry, potentially leading to more conservative expectations of salaries and opportunities. Fellows and Associates recruit Patent Attorneys, Trade Mark Attorneys, IP Lawyers and other Intellectual Property professionals worldwide. The firm offers a diverse range of recruitment services including search, advertised selection and managed campaigns. Its newly launched consultancy division ‘Fellows Business Consulting’ offers targeted strategic advice to firms within the Intellectual Property sector worldwide. See fellowsandassociates.com for more or phone +44 207 903 5019. Fellows and Associates' Managing Director Pete Fellows has over a decade's experience in the recruitment industry and has recruited positions in locations such as Russia, Australia, the UK, Hong Kong, Singapore and the United States. More recently he has been responsible for moving Partners of major firms of Patent Attorneys to positions worldwide.